A new study led by Lamont-Doherty Earth Observatory researcher Suzana Camargo and Université du Québec à Montréal's Francesco Pausata provides deeper insight into how large volcanic eruptions affect hurricane activity. Previous studies could not clearly determine the effects of volcanic eruptions on hurricanes, because the few large volcanic eruptions in the last century coincided with El Niño-Southern Oscillation events, which also influence hurricane activity. In the study published today in the Proceedings of the National Academy of Sciences of the United States of America, Camargo and Pausata approached this relationship by simulating very large volcanic eruptions in the tropics multiple times. Their modeling told a more complex story than previous papers had indicated. "This is the first study to explain the mechanism of how large volcanic eruptions influences hurricanes globally," said Camargo. According to their findings, large tropical volcanic eruptions can affect hurricanes by shifting the Intertropical Convergence Zone, a region that circles the Earth near the Equator and greatly influences rainfall and hurricane activity. As the Intertropical Convergence Zone moves after a large volcanic eruption, it affects both the intensity and frequency of hurricanes, causing some regions to experience an increase in activity and other regions to experience a decrease. For example, a large eruption in the tropical regions of the Northern Hemisphere leads to a southward shift of the Intertropical Convergence Zone. This results in an increase in hurricane activity between the Equator and the 10°N line, and a decrease further north. The zone's southward shift has further effects in the Southern Hemisphere, causing a decrease in activity on the coasts of Australia, Indonesia, and Tanzania, while Madagascar and Mozambique experience an increase. These changes can last for up to four years following the eruption. 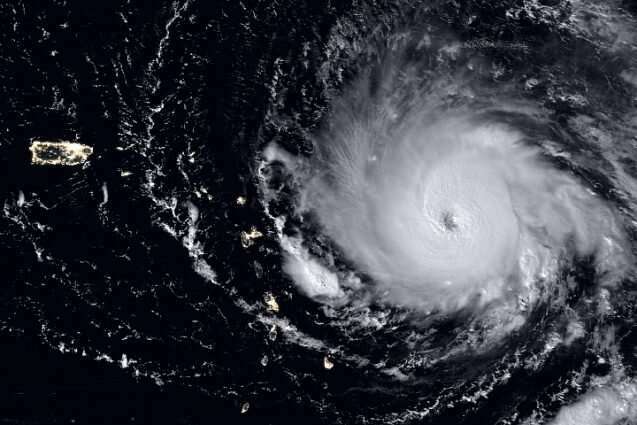 Camargo and Pausata were able to separate the effects of volcanic eruptions and El Niño-Southern Oscillation on hurricane activity and show the different impacts that the two factors have on hurricanes globally. Their findings are important in helping scientists better understand the relationship between volcanoes and hurricanes.